Corporate events don't usually create buzz beyond the company's employees. But when Arci Munoz performed at Accenture's Shout! Manila 2017 event at the World Trade Center on August 6, tongues started wagging. Just like a lot of average people would when they meet an artista, attendees of the Accenture event grabbed the opportunity to take selfies with the Can We Still Be Friends? star. The seemingly "normal" selfies, however, went viral. Netizens compiled, shared, and retweeted the photos, with most of them asking: "What happened to her? Did she get a nose job? (Along with more unsavory comments to which we refuse to give the time of day.)" 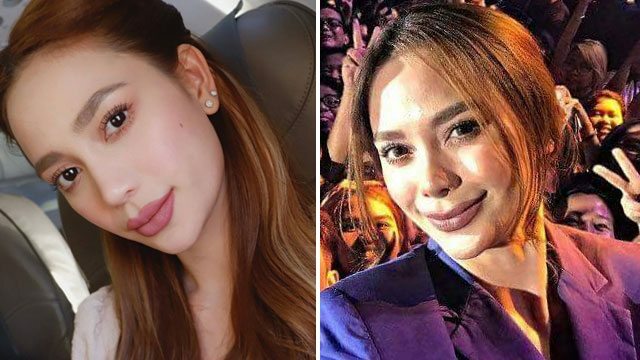 Arci isn't really a stranger to plastic surgery rumors. When she finally spoke up and denied the rumors in June 2017, she also said she wouldn't mind doing it either. "It's open naman, 'di ba? Ako personally, I'm not against it," she told PEP.ph. "It's my body, and whatever is gonna make me feel more comfortable and more confident sa aking sarili... I'll do it." Arci hasn't addressed this recent onslaught of surgery rumors. Despite all the flak she's getting about her "new look," she seemed to have enjoyed the Accenture gig anyway. She even retweeted photos and videos of her performance. Whether she actually went under the knife or just showed off her contouring skills, maybe we can all just chill and respect her freedom to make her own choices.